Budding Ghanaian hip-hop and afrobeats artiste, Samuel Nana Kwame Odame Ampofo with showbiz name FreQuency Rap has shared his highs and lows life story and it will break you. Ghana international Alhassan Wakaso has signed a new two-year contract extension with Portuguese side Vitoria Guimaraes. Socialite Efia Odo has reacted to a claim making rounds on social media that she is alleged to have had affair with Shatta Wale and his friend Junior US. The Musicians Union of Ghana (MUSIGA) has named Managing Partner for Bentsi-Enchill, Letsa & Ankomah, Ace Ankomah, as the MUSIGA Anti-Corruption Star for the month of April, ABC News Ghana can confirm. Ghanaian dancehall artiste, Charles Nii Armah Mensah popularly known as Shatta Wale is preying on Sarkodie’s threat to sue bloggers as an indirect way of getting them on his side. There are currently 45 of the One District One Factory projects operational out of 181 projects already on the drawing board, according to Deputy Minister of Trade and Industry, Robert Ahomka-Lindsay. Black Queens of Ghana head coach Mercy Quarcoo Tagoe, has dropped five players from her 30-member squad as they prepare for the upcoming West Africa Football Union (WAFU) Women Zone B Competition. If you thought Patapaa’s ‘One Corner’ that went viral a few years ago was crazy, then you are in for the shock of your life as the Swedru champion has released another rap verse in a song called Daavi, that seems to be taking over the internet with the speed of light! Patapaa’s verse on the song titled "Daavi", is going viral because nobody seems to understand the lyrics, yet it sounds funny and interesting to rap along. Thomas Partey climbed off the bench to set up the match winner for Atlético Madrid in their 3-2 victory over Valencia on Wednesday evening. Medeama coach Samuel Boadu has been left saddened by the violent crowd trouble that marred his side’s 1-1 draw at Aduana Stars on Wednesday. Aduana Stars are facing a potential stadium ban following the violent conduct of their supporters during their 1-1 draw against Medeama in the Special Competition on Wednesday. President of Uncle T United FC, Isaac Tetteh, has stated that until club administrators join forces with the Ghana Football Association Normalisation Committee (NC), football in the country will continue to struggle. 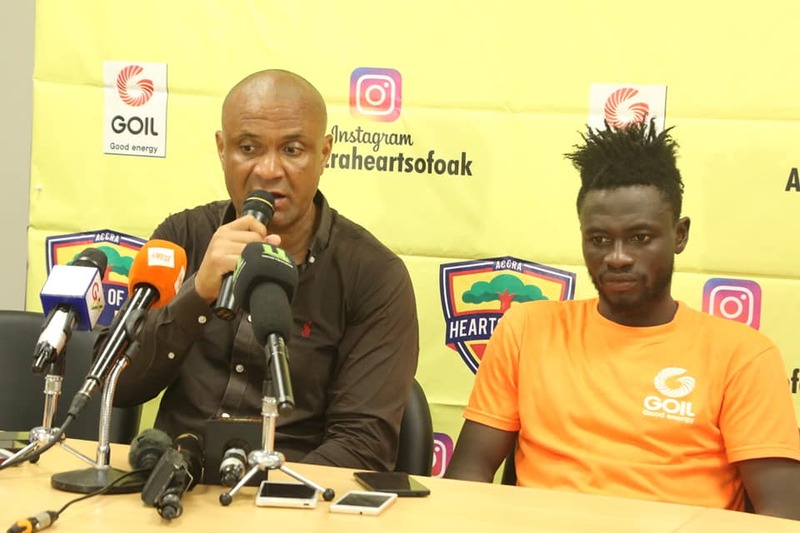 Former Black Stars defender, Emmanuel Armah Senegal has urged Coach Kwesi Appiah to select the right and fit players to win the 2019 Africa Cup of Nations come next two months The 32nd edition of this year’s Africa’s prestigious tournament will start from June 21 to July 19 in Egypt. Hearts of Oak are back to winning ways in the Ghana Special Competition with a 2-0 home triumph over Inter Allies on matchday seven of the novelty league on Wednesday. Ghana and Masters Security FC midfielder Eric Atsiga has declined an offer from the Malawi Football Federation to naturalize and play for the national U-23 side. The Speaker of Parliament, Professor Aaron Michael Oquaye has directed that Parliament reconvenes for sitting from Monday, April 29 to Friday, May 3, 2019 to consider an urgent Parliamentary business including the completion of work on and passing of the Companies Bill among others.